In a darkened room a young man sits telling the macabre and eerie story of his life - the story of a vampire, gifted with eternal life, cursed with an exquisite craving for human blood. 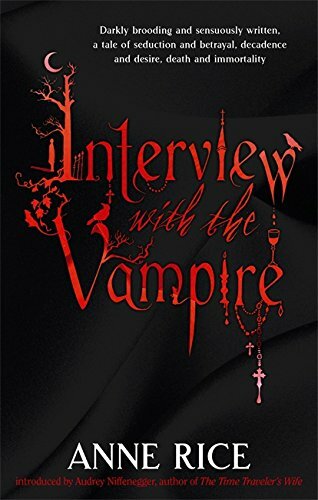 Anne Rice's compulsively readable novel is arguably the most celebrated work of vampire fiction since Bram Stoker's Dracula was published in 1897. When Interview with the Vampire was originally published the Washington Post said it was: called Interview with the Vampire a 'thrilling, strikingly original work of the imagination . . . sometimes horrible, sometimes beautiful, always unforgettable'. Now, more than forty years since its release, Anne Rice's masterpiece is more beloved than ever.